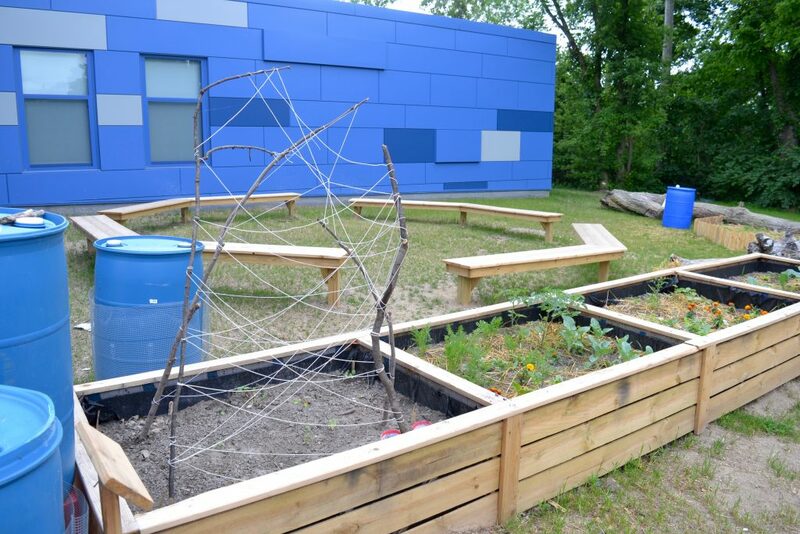 A2 STEAM students are ending their school year with a new addition that connects students with nature and spreads the message of environmental education. 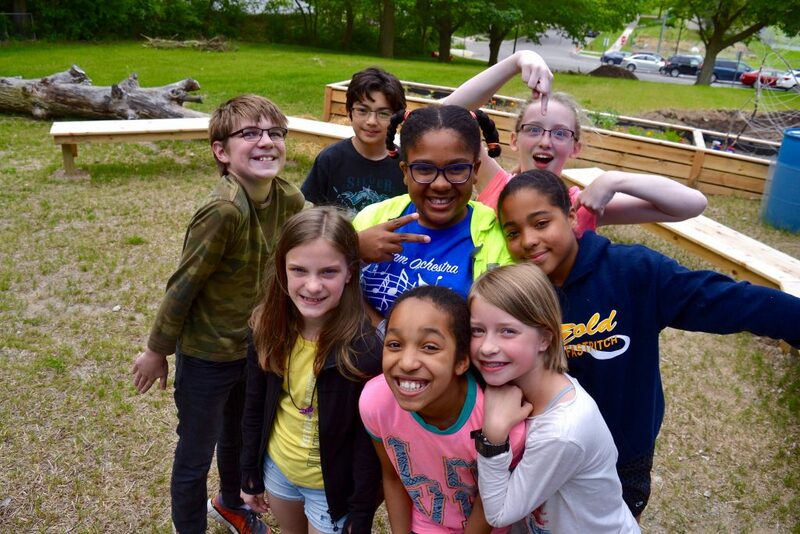 Following one long productive General Motors “Day of Service” this spring, A2 STEAM gained an outdoor classroom of large circular benches and raised garden beds. The children love their new outdoor classroom, says teacher Brooke Stidham, the PBL coordinator at the school. A2 STEAM students pose for a picture in the outdoor classroom. The work was done by about 20 volunteers from GM and a few construction foremen from Forward Design Build Remodel, whose owners are parents of A2 STEAM students. Stidham says A2 STEAM is very fortunate to have partnered with the GM and National Wildlife Foundation’s Eco-Schools USA program. Thanks to volunteers, the outdoor classroom was built in a day. The school was awarded grant funds and recycled materials from GM to complete the project.